As you plan your trip to the Creation Museum, you may be wondering if there are places to relax and take a break during your visit. Throughout the museum and the botanical gardens, we have several options if you need to take a break. 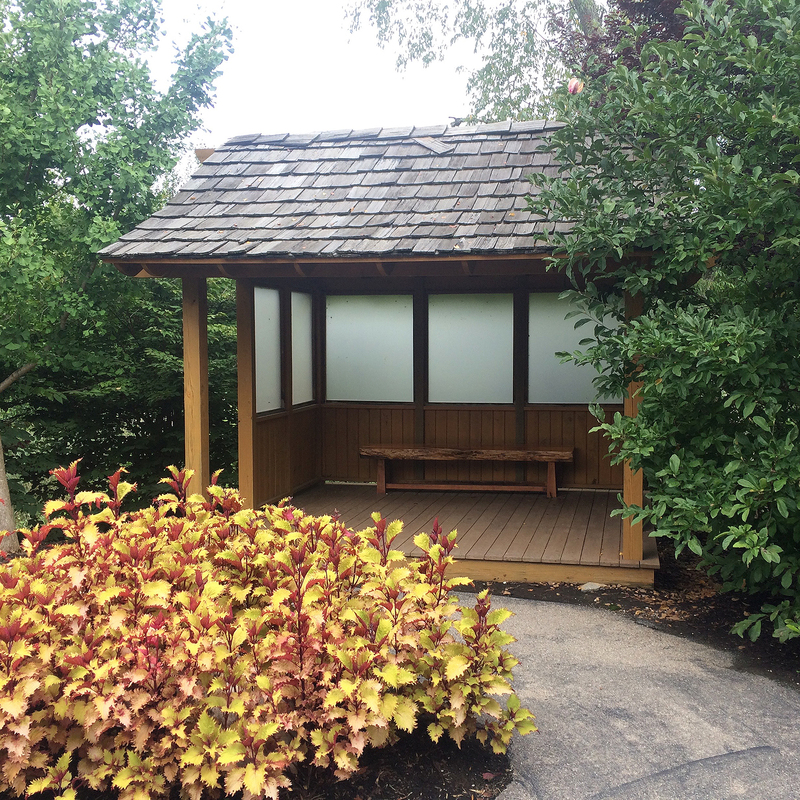 Here are six relaxing spots to keep in mind as you spend the day at the Creation Museum. If you are looking for a place to sit as you look over the museum map and daily schedule to plan your day, we have several benches available near the Guest Services Information Center. Or if the weather is nice, you can relax on a bench outside in the grand plaza before venturing off into the botanical garden. Surround yourself with the beauty of God’s creation as you take a break in the botanical gardens. As you walk around the koi pond, reflect on the view as you meditate on God’s Word. You may even want to pause at this bench as you look out at the water. We have four pavilions located throughout the gardens. We even have one by the camel rides, so you can have an up-close look at Gomer or CJ as they take visitors around the circle. While you are relaxing, you can also admire the paintings made by some of our petting zoo animals. The lake view from the Pequea gazebo is one you will not want to miss. We have benches and chairs available to our guests here. You might even see some of our guests fly over your head as they begin their Screaming Raptor adventure on the zip lines. 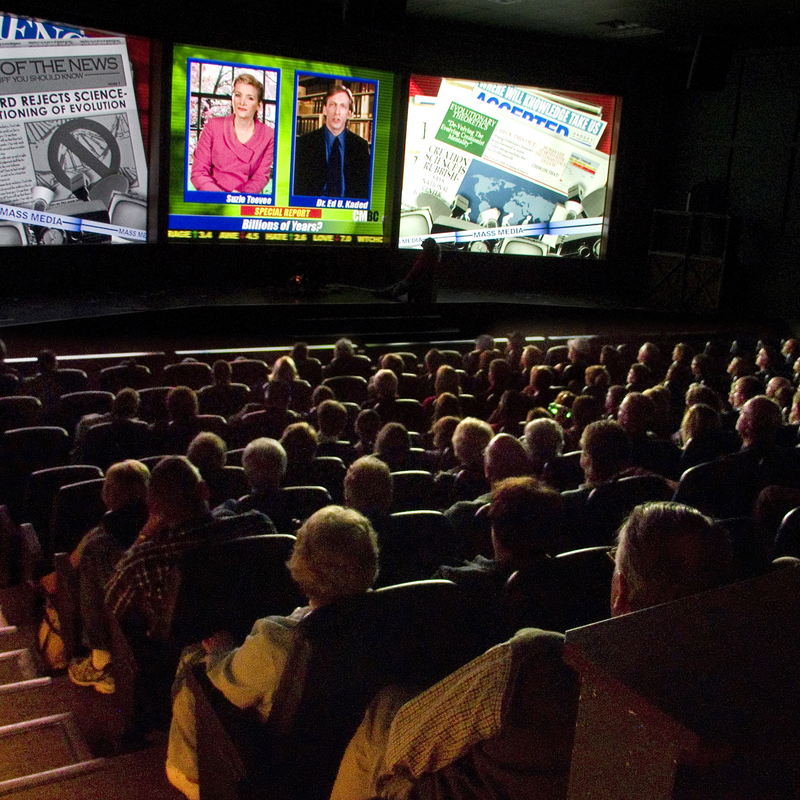 If you are looking for a spot to take a break while still enjoying all that the Creation Museum has to offer, take in one of our theater presentations. As you walk through the museum, enjoy Six Days of Creation midway through the Biblical History exhibit, or catch one of our unique shows in the Special Effects Theater or Stargazer’s Planetarium. Be sure to check the daily schedule for show times so you don’t miss out! Take time to study and focus on biblical truths within the museum’s exhibits. Benches are located in front of several displays where you can learn what the Bible says about creation and how scientific evidence confirms God’s Word. 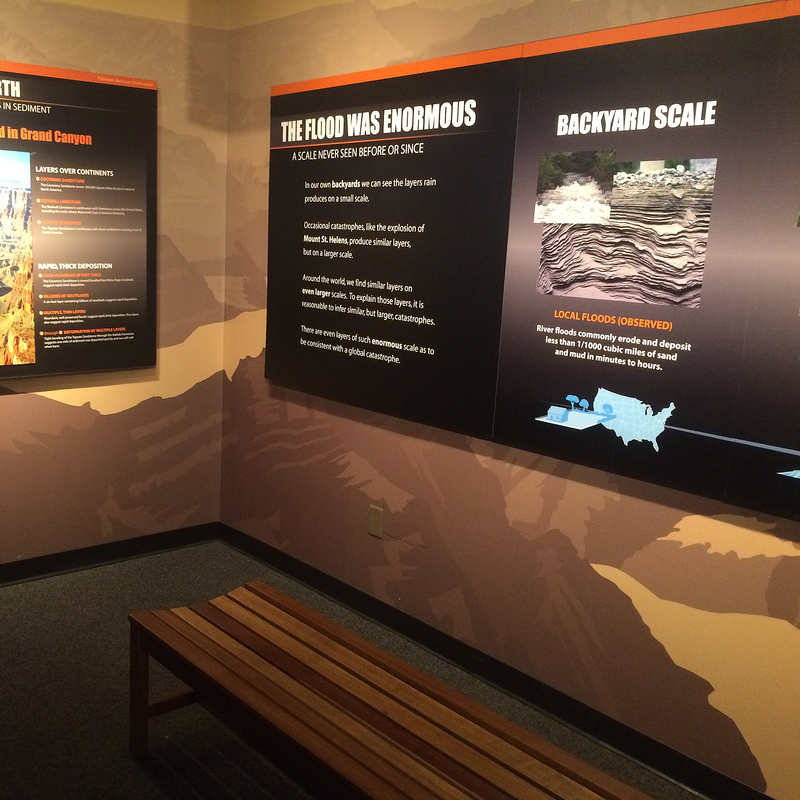 Be on the lookout for these spots in the Wonders of Creation, Voyage of the Ark, Flood Geology, and Confusion (one of the 7 C’s of History) exhibits. 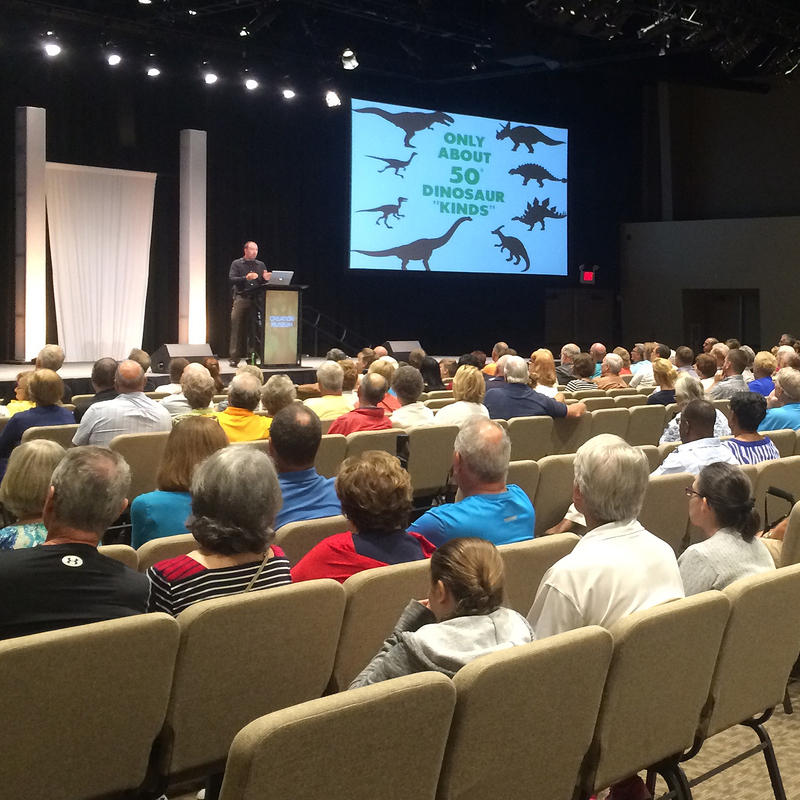 If you visit the Creation Museum during the week, head to Legacy Hall to hear from one of our speakers. Listen to presentations on topics such as dinosaurs, Genesis, and Adam and Eve during your break. Check the events calendar or the daily schedule to see whom you can learn from during your visit. Noah’s Café is the perfect spot to grab a snack or eat lunch when you are ready for a break and need to refuel for the rest of your day. Enjoy a view of the botanical gardens and lake with our outdoor seating options, or reflect on what you have seen during your visit at one of our indoor tables. As you can see, there are plenty of options available if you need to take a break during your time at the Creation Museum. Where is your favorite place to take a break?